Jane: Sonny with a chance. 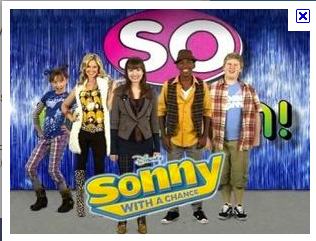 This is my favourite show sonny with a chance. Every day when I get home the only thing I do is watch Sonny with a chance on Disney Channel. My favourite actor is Demi Lavato and she is also my favourite singer. The best song is la la land. Sonny with a chance is a full of episodes. 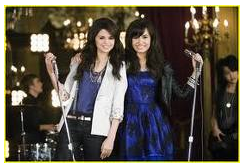 Do you know who is Demi lovato herbest friend is selena gomez she came on sonny with a chance. Hi Jane, I haven't seen this show so thanks for telling me about it. I like watching shows with singing and dancing. Wow Jane I never knew that you liked watching Sonny with a chance and yes i also do know that Demi lovatos bff is Selena Gomez. hope to see more of your awesome posts. I like your Sonny with a chance and the one of you and the book and the one about the frog. thats my favourite show too.Make sure you edit your writing before puplishing.